Nissan says the Invitation has class-leading aerodynamics to help reduce fuel consumption. 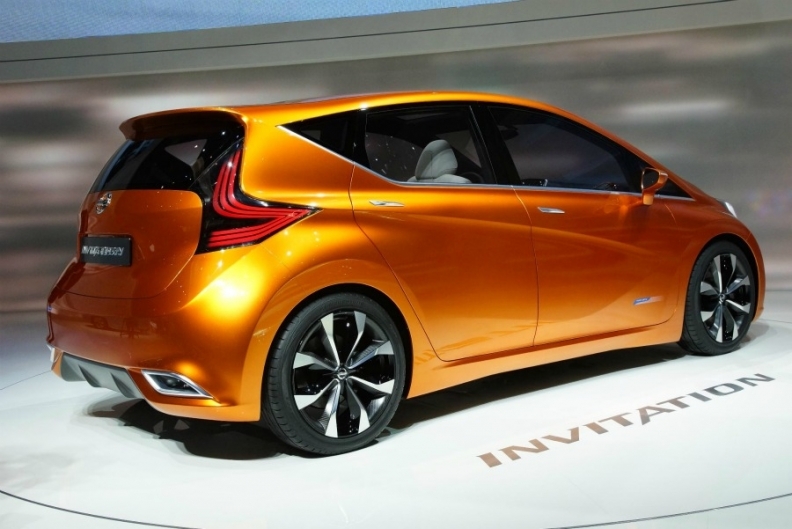 GENEVA -- Nissan will target subcompact models such as the Ford Fiesta with the production version of the Invitation concept. The production car will be very similar to the concept unveiled at the Geneva auto show on Tuesday and will compete against the Ford Fiesta and similar models, said Paul Willcox, Nissan Europe's head of sales and marketing. 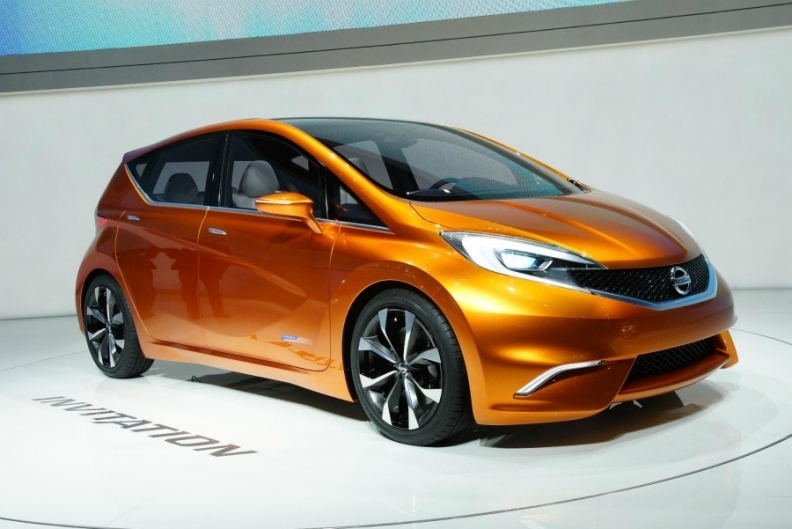 Willcox said the Invitation previews a new Nissan model that will be sold alongside the automaker's Micra subcompact, which is slightly smaller. "In the segment we have the Micra which appeals to more conservative buyers. The Invitation sits at the upper end of the segment," Willcox told Automotive News Europe on Tuesday after the concept's unveiling. Nissan said the production version will have high fuel economy and CO2 emissions of less than 100 grams per kilometer because of its aerodynamic design, lightweight construction and advanced engine technology. It will also offer the automaker's Around View Monitor that gives the driver a 360-degree view of the vehicle from the outside to help parking. This will be the first for the segment, Nissan said. Nissan will start production of the car its plant in Sunderland, northeast England, in mid-2013 at an initial rate of 100,000 a year. Last year, Nissan built a record 480,485 vehicles at the plant, which produces the Qashqai and Juke crossovers and Note small minivan. Willcox said a crucial factor in Nissan's sales success was that about 80 percent of the models it sells in Europe are produced in Europe. By comparison, about 50 percent to 60 percent of the models Honda sells in Europe are produced at its factories in Swindon, England, and Gebze, Turkey. Honda Europe President Manabu Nishimae told Automotive News Europe on Tuesday that he wants that number to rise to 80 percent within the next three years. Nissan sales increased by 14 percent to 458,033 units in 2011 in the EU and EFTA countries, giving the brand a 3.4 percent market share, up from 2.9 percent in 2010, according to industry association ACEA.